The city of Thornton, Colorado, discovered that if it didn’t replace roughly 31,000 aging electronic radio transponders (ERTs) on its water meters, city staff would no longer be able to perform drive-by meter readings. Ten miles north of Denver, Colorado, Thornton serves water to approximately 123,000 people through 36,000 residential and 2,000 commercial metered accounts. Recently, Thornton realized nearly 90 percent of its residential meters had ERTs reaching the end of their life cycles. Installed in 2004, ERTs enable drive-by meter readings, eliminating the need for staff to manually read each meter. Each technician scans the asset data using the bar code reader, eliminating the need for paper-based data entry and its associated issues. Thornton put out a request for proposal to assist with the interface in the change-out program. “We came across one we liked,” said Jason Montoya, utility maintenance supervisor. “But the overall financial implications were too great.” The solution they liked would have cost more than $100,000—far more than the city could spend. Consequently Thornton opted to utilize an existing technology for zero cost. Thornton had been using Esri software for nearly two decades, and in the past two years, the city had been using ArcGIS Online and its cloud-hosted services. Montoya asked the GIS group if they knew of a solution that would enable field technicians to use existing technology to replace the ERTs. GIS analyst Mary Ann Nicaise suggested serving out water meter locations to field personnel via ArcGIS Online as a web service. “So I sat down with IT and Mary Ann and told them what I was looking for,” Montoya said. “They started bouncing ideas, and Mary Ann thought we could do a web-based service.” The focus turned to the existing GIS for the solution. Nicaise configured a web map that crews could access on tablets that ran the Windows 7 operating system and had been outfitted with a bar code reader and Wi-Fi card. Meanwhile, the IT department wrote a Python script that performed a verification function. The script cross-referenced field data with a billing database and enabled supervisors to accept or reject information based on its accuracy. Each morning, each technician receives meter assignments. Meters shown on the web map are color coded to indicate the technician assigned. Each technician scans the asset data using the bar code reader, eliminating paper-based data entry and all issues associated with that process. At the end of the day, the Python script verifies that the ERT number is imported into the correct customer account and ensures that the technician inspected the correct property. Once verified, the updated information propagates through the database and a joined billing system. This solution not only assists with the ERT change-out project but also collects geostamped asset information at the same time while reducing paper. In the future, it will help other maintenance and work order efforts. 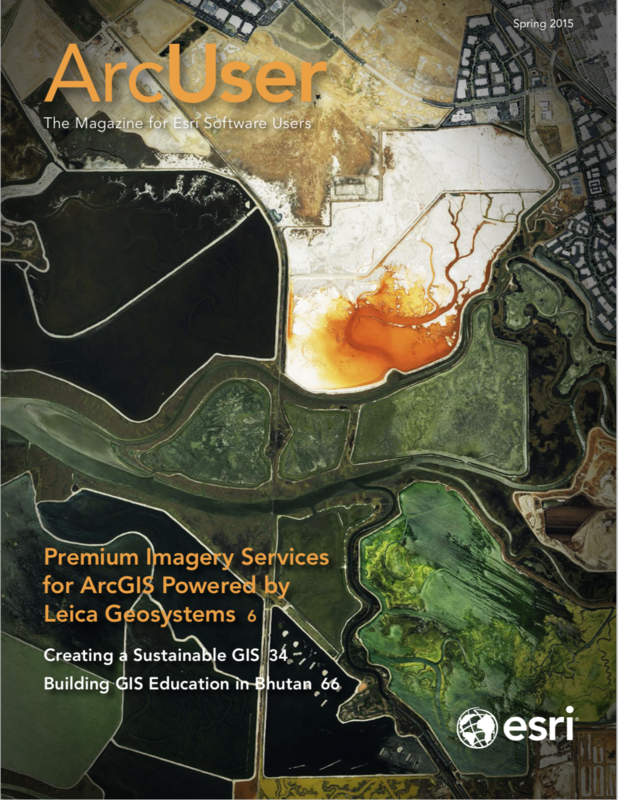 For more information on ArcGIS Online, visit arcgis.com/features.